The timing module is easy to use, reliable and efficient. It's compatible with many timing devices, the most used are (MyLaps, AMB, TagHeuer by Chronelec...) with many display boards (Tag Heuer, Datadisplay...). Races in real time evrywhere around the world. 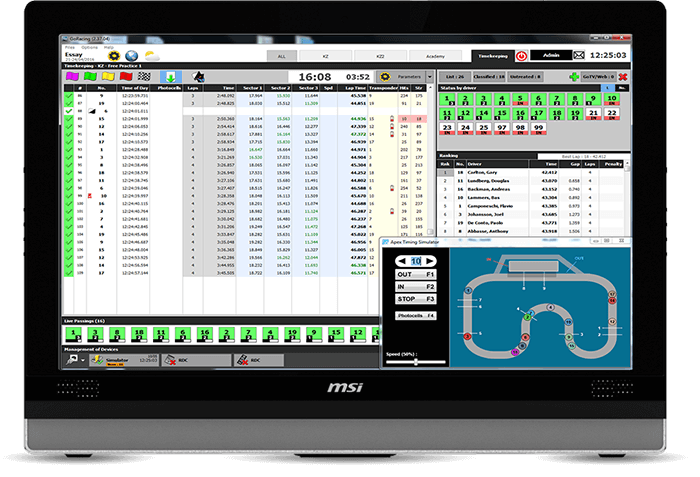 Drivers and teams can follow live timing with the best performing timing system on the market. It's fully customizable (style, displayed fields) and will fit all devices (PC, tablet, smartphone). Easily integrated in your website, it is also possible to deploy it on the track (without internet connection) through a WiFi network. 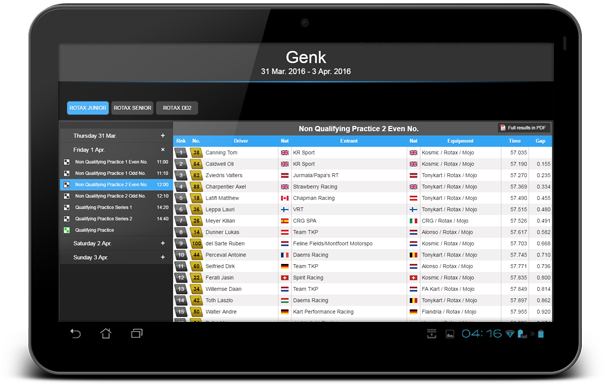 A module on hardened touchscreen tablet dedicated to the race director. 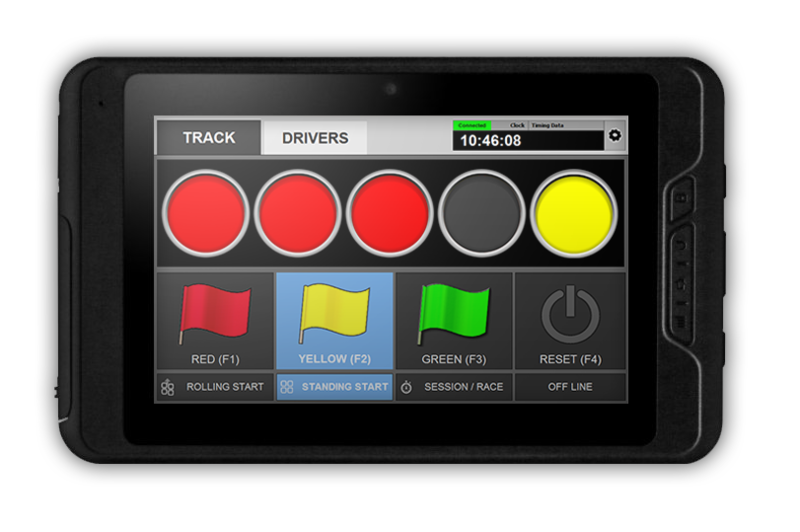 Connected to an alphanumeric panel, a video board, and / or lights, this module allows the race director to manage starts and drivers flags. 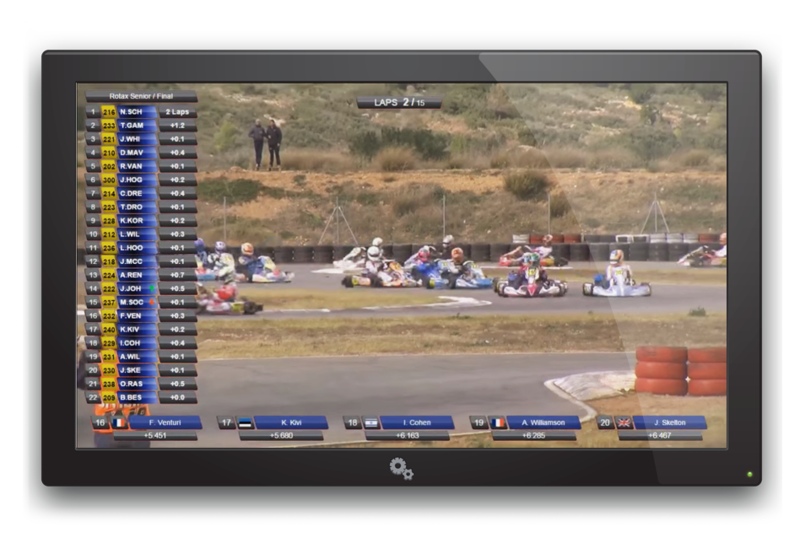 It also displays the position of drivers on the track. Results and schedule of the event immediately updated. 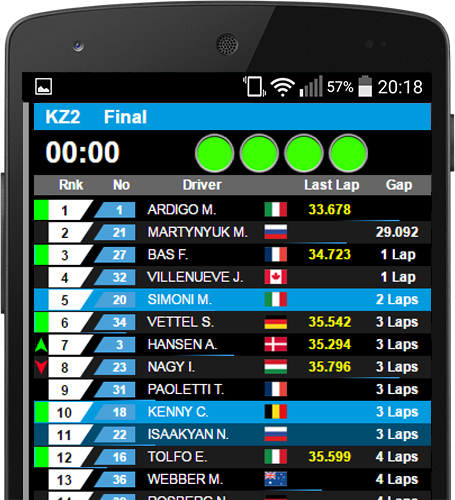 As well as the Live Timing, our Live Results module is fully configurable, adapts to all devices and allows you to browse the results of rapidly weekend in HTML5 or consult the detailed results in PDF (best sectors analysis, lap chart, lap by lap ...). 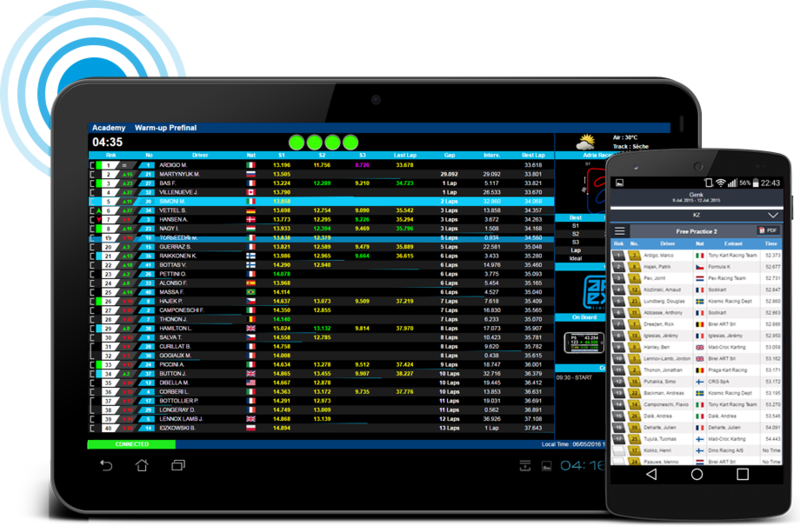 Easily integrated in your website, it is also possible to deploy it on the track(without Internet connection) through a WiFi network. This web module is specially designed for live streaming (video broadcast by Internet). The producer will have immediate access to a range of tools for dressing the broadcast: live ranking, number of laps remaining, fastest lap, gaps... This module can even be autonomous and will automatically select informations to display.